Commenting on a blog is an artform. One could argue that the time and effort that goes into making a well-informed comment or starting a whole new discussion based off of a post is as important as blogging itself. One company that banks on that premise is Disqus. The company is preparing to release a massive upgrade to its commenting system, which it’s calling “D12”. The Disqus 2012 update is in beta right now and the company is making some tweaks based on feedback that it’s getting. Some of the changes that Disqus shared today are pretty interesting. 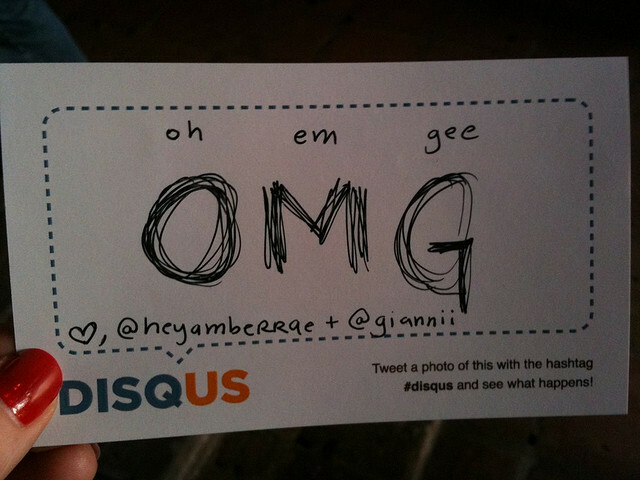 It’s hard to work on a product like Disqus in the dark. Putting out an early version of this platform really let us learn what works and what doesn’t work — from the perspectives of both websites and people. We’ve been listening earnestly and have been making careful decisions based on community feedback. Some key updates made today include how the company weights up and down votes for comments. The company has raised the threshold of how many downvotes a comment needs to be grayed out. This should stop important comments from disappearing from a blog post, and continue to help get rid of spammy or trolling ones. To keep the voting transparant, Disqus has also separated the upvote and downvote, letting you see how many of each a comment might have. In addition, Disqus continues to clean up its sign-up and sign-in process, making it one of the more visually appealing comment services on the web. If you want to get an invite to “D12”, click here to sign up.